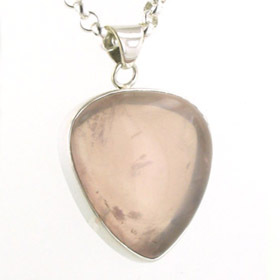 Natural rose quartz is a delicate pink gemstone with opaque or translucent texture, often with cloudy inclusions. The shade of pink varies from a pale baby pink, light mauve to peachy pink. 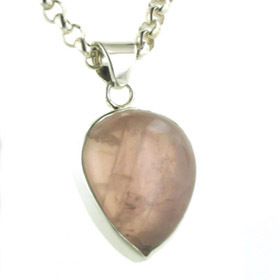 It suits a sterling silver setting and looks good made into chunky jewellery. 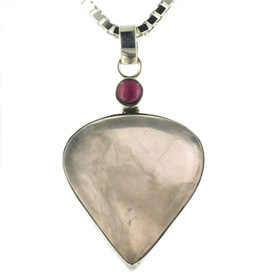 Take a look at our silver chains to wear with your rose quartz pendant.